Five suspects are unknown and fled on foot. 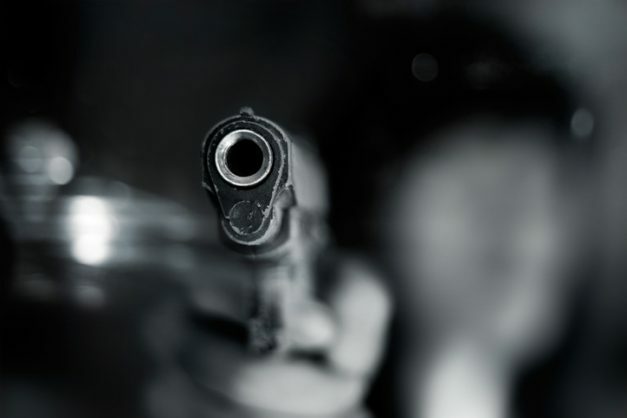 Port Elizabeth police in the Eastern Cape are investigating a number of cases of business robbery, one incident so violent that victims were stabbed in the head and back. Police spokesperson Warrant Officer Alwin Labans said a spaza shop at Boesak Grounds in Missionvale was robbed by four armed suspects on Wednesday. Labans said it was alleged that the owner and his assistant were in the shop when four males entered the shop. Labans said the victims were also assaulted and taken to hospital for stab wounds to the back and head. The suspects are unknown and fled on foot. Meanwhile, in Humewood, it was alleged that a 22-year-old complainant was inside the Southender Pub when an armed suspect entered the premises on Wednesday night. The complainant heard sounds from the back gate as the door was open. Upon investigation, the suspect gained entry and pointed a firearm at the young man. Labans said the suspect demanded cash and was handed a money bag from the till. The suspect is unknown and anyone with information is asked to contact Humewood detectives.